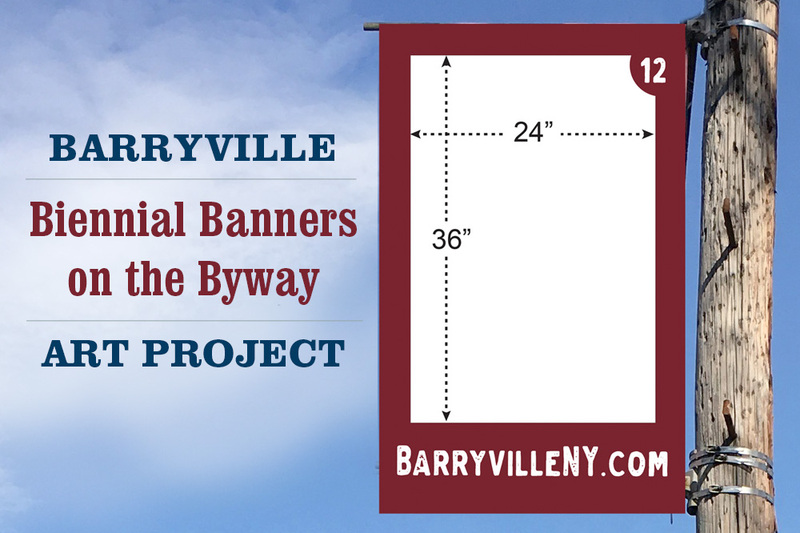 The Greater Barryville Chamber of Commerce is seeking artists’ submissions to become the new “welcome banners,” replacing the current and dis-repaired banners along the scenic river corridor on NYS Route 97 in Barryville, NY, debuting Memorial Day weekend 2019. This is an opportunity to immortalize your artwork along the Upper Delaware Scenic Byway where residents and 300,000-400,000 visitors traverse year-round. There will be 20 banners in all. Each selected artist’s piece will grace two-sides of a single banner. 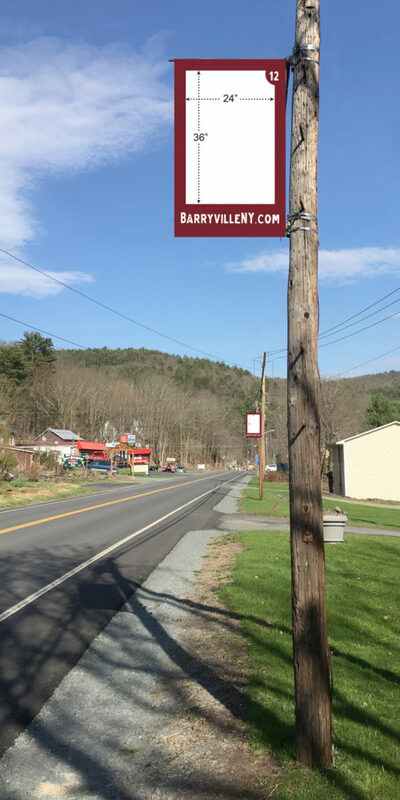 Each banner will be part of a numbered art show that will dually be exhibited online on the “Barryville Biennial Banners on the Byway” page on BarryvilleNY.com, where an image of the artwork, title, artist’s name, and link to the artist’s website will appear. The visuals could be natural (flora, fauna, landscapes, riverscapes, etc. ), culturally-related or other inspirations from our environs and surroundings, in micro or macro views. We suggest that artists submit works of art that are identifiable from a distance. As the banners will hang about 10 ft above the ground and will be seen mostly by passersby on bicycles and cars. Works may be representational, suggestive or abstract. Suggested mediums are photography, painting, drawing, mixed-media or other. Interested in Becoming a Banner Sponsor? If you would like to sponsor a banner as an individual or business, please contact GBCC at gbcc@barryvilleny.com to discuss levels of opportunities.